Practices are Tuesdays and Thursdays from 8pm to 9:30pm at Poplar Tree Park - 4718 Stringfellow Rd, Fairfax, VA 22030. On Thursdays we go to Blue Iguana after practice. This is an HOA field. It is important that we respect their neighborhood by parking at the community center and walking across the street to the field. 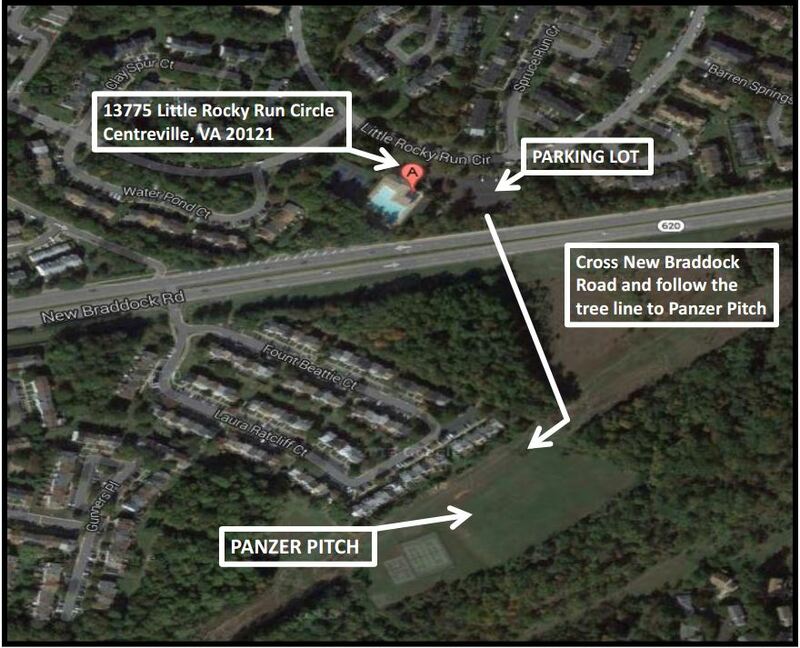 The parking address is 13775 Little Rocky Run Circle, Centreville, VA 20121. Once you have made your way to the parking location above, here is how you would get to Panzer Pitch. The club pays a lot for use of this indoor facility so get there early and be booted up when practice starts.